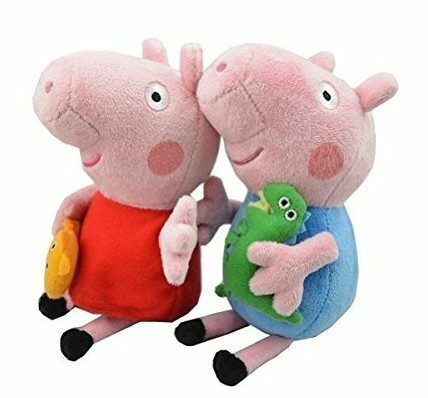 Peppa & George Pig 8" Plush Figures Only $6.32 For Both Shipped FREE! You are here: Home / Great Deals / Amazon Deals / Peppa & George Pig 8″ Plush Figures Only $6.32 For Both Shipped FREE! Peppa & George Pig 8″ Plush Figures Only $6.32 For Both Shipped FREE! My granddaughter loves watching Peppa Pig! When it is on it’s not unusual to hear big snorting pig noises from all over the house! Head to Amazon to get Peppa & her brother George Pig – 8″ Plush Figures Both for Only $6.32 Shipped FREE! These plush figures are highly rated and make a wonderful gift for your Peppa Pig Lovers!